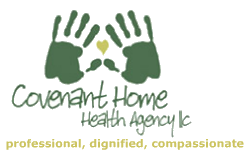 Tell your friend about our services at Covenant Home Health Agency LLC. We hope to be given the opportunity to take care of those who are important to you. Send them the link to our website.